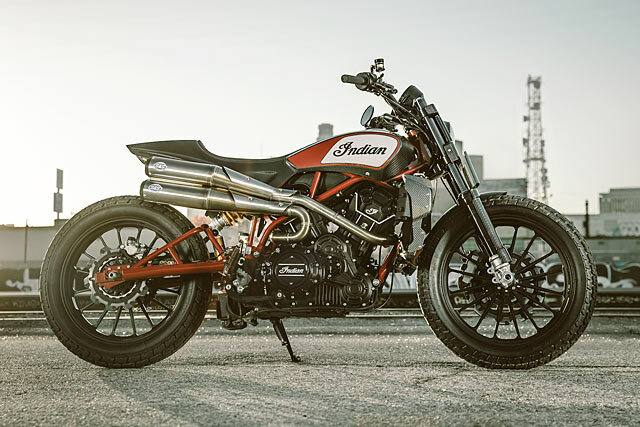 In the biggest hint yet that Indian could finally deliver a production Street Tracker, the major American comes correct with this incredible road racer to be unveiled at EICMA this week. 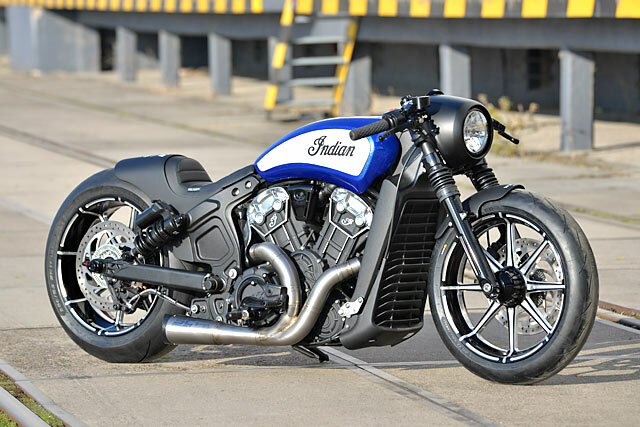 With the all-conquering Wrecking Crew on hand in Milan to lift the cover, Indian are set to present to the world a street legal variant that has mouths watering. Known as the Scout FTR1200 Custom, could this one-off build be the basis for a dream machine coming to a showroom near you. 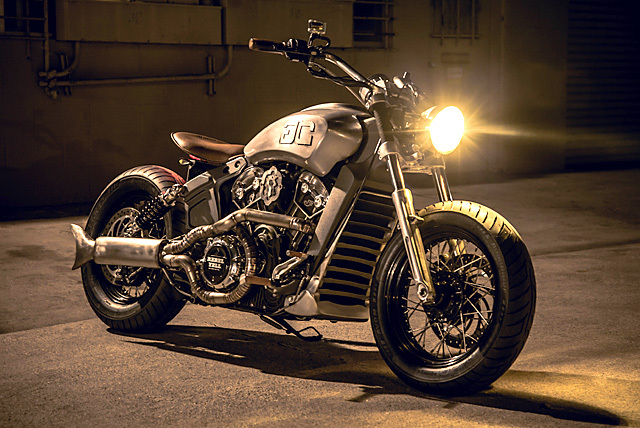 A headless chicken earning $50,000 a month, a female racer beating up on the boys and an Indian Scout with a 1:1 power to weight ratio. These are not old wives tales, stories from someone three sheets to the wind or plucked from an episode of Ripley’s Believe It or Not. All these things are true and they form the foundation of one incredible machine that took home the top trophy at its first race meeting. 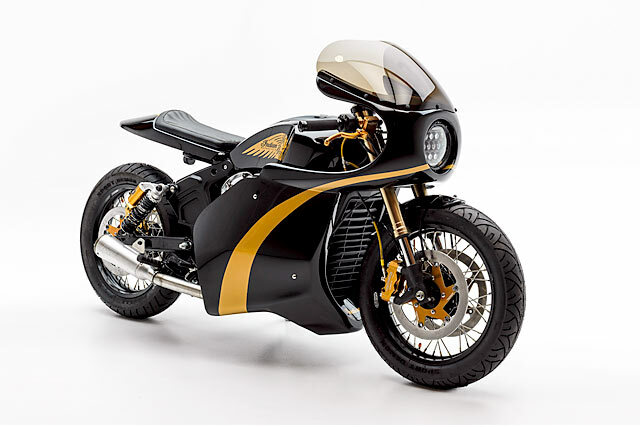 Having been selected by Indian to undertake the build Nik, Fabien Ale and Zesi at Switzerland’s Young Guns Speed Shop haven’t let down the big American maker. 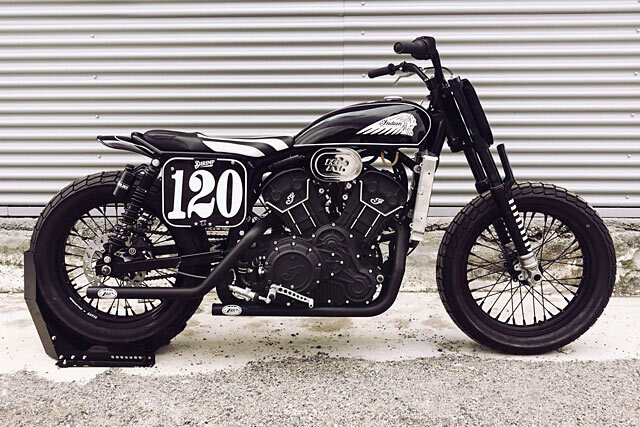 Delivering a tyre shredding 2016 Indian Scout Sprint Racer known fondly as ‘Miracle Mike’. For the first half of the 20th century, the Indian motorcycle company was flying high. 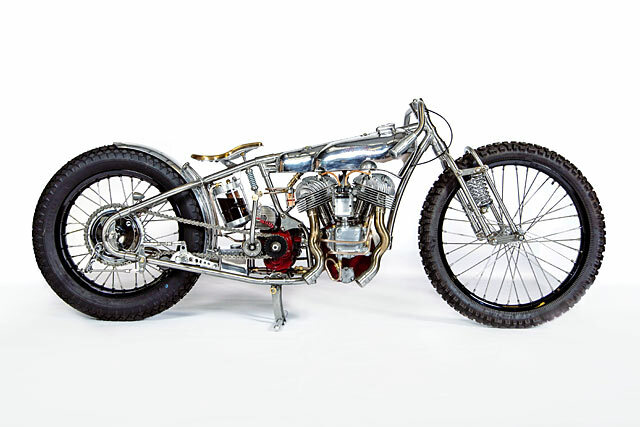 They took all three podium spots at the 1911 Isle of Man TT, won the very first Daytona 200 in 1937 and so good was the handling of the Scout 101 that it was used everywhere from hill climbs to dirt track and is still the bike of choice for wall of death riders the world over. But when the company went bust in 1953, the only achievement of note for the next half century was Burt Munro’s famous 20’s Scout breaking land speed records. 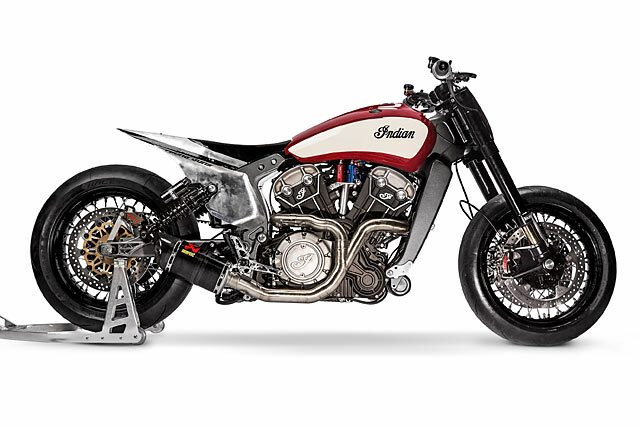 But when the giant automotive company Polaris acquired Indian in 2011, fans of the marque could smile; finally Indian’s would be built right again and when Adam of Gasser Customs was called upon by Rebel Yell to build them a custom bike he picked a 2015 Indian Scout, nicknamed it ‘The Outlaw’ and has knocked this build out of the park.